Ideal for warehouses, loading docks, and industrial areas. 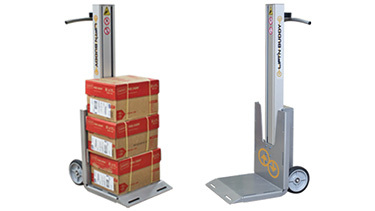 Ergonomic Partners offers industrial ergonomic equipment such as powered hand-trucks, pallet jacks, fall arrest systems, safety products, and other handling equipment for all areas of the work place. 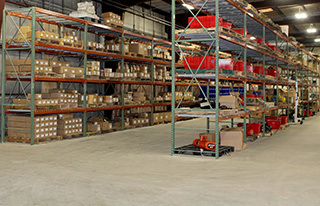 Ergonomic Partners offers a wide variety of pallet jacks. 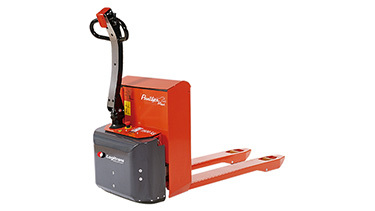 Anything from battery powered pallet jack, standard pallet jack or stacker is available online. Your operators will appreciate the ease at which they can maneuver pallets through the warehouse with the pallet jack that is right for them. The Lift'n Buddy is the ideal ergonomic solution for lifting and moving boxes, 5-gallon buckets, kegs, cases, wire spools, and more. The dolly has a battery powered lifting platform that has a vertical travel of 36 inches. Ergonomic Partners designs and installs OSHA fall restraints, fall arrest systems, body harnesses, and retractable lanyards. 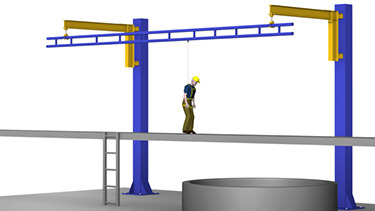 Fall arrest systems are designed for people who consistently work at heights. These systems are a safe, reliable way to protect workers who are at a risk of injury due to a fall.